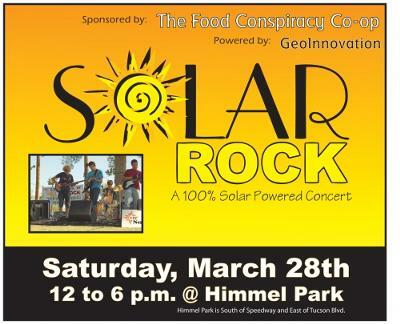 Solar Rock is an annual festival that is 100% solar powered. It aims to educate individuals about renewable energy, climate change, and sustainability. This is a free public event that will feature local music, speeches from renowned scientists and local leaders, and educational booth displays from area businesses, non-profits, and government agencies.